Avventure Bellissime | Make time to take in everything! Travelling Italy: Make time to take in everything! Sometimes contrast can heighten life’s experiences, the juxtaposition of opposites making each all the better. Think of combining a cool swim with a hot sauna, sweet toffee with salty popcorn, or seeing a radiant full moon against the backdrop of an inky night sky. If this is the way you like to enjoy things, planning your trip to Italy will give you many opportunities to fill your vacation days with a wide range of Avventure Bellissime’s fascinating Italy Tours. Combine a walking tour of the subterranean with a tour through the Vatican’s exquisite architecture, which dominates Rome’s skyline, for an unforgettable experience of the Eternal City. Visiting the ancient Catacombs and medieval churches and the incomparable beauty of St. Peter’s Basilica and the Sistine Chapel provides you with a wonderfully comprehensive understanding of the history of Italian art, faith, and culture. Our Private Underground Rome & Catacombs Tour will take you to explore what lies underneath modern Roman suburbia, the Catacombs of San Sebastian or San Domitilla. Historians believe these tunnels to be the first Catacombs of their kind in Rome. The burial niches and crypts were decorated with artistic embellishments ranging from elaborate Christian mosaics to more modest forms of graffiti. Investigating the warren of tunnels and the medieval church of San Clement built over the remains of earlier structures takes you deep into Italy’s past. After trekking through the underpinnings of Rome, imagine joining our Small Group Skip the Line Vatican & Sistine Chapel Tour to venture into the magnificence and lofty grandeur of Vatican City. An independent city-state, Vatican City is ruled by the head of the world’s Roman Catholic Christians, the Pope. The treasures and history protected and preserved here are priceless and open to visitors from around the globe. Avventure Bellissime’slicensed Italy tour guides are entertaining and informative as they share with you the secrets of the Sistine Chapel. Another wonderful holiday itinerary could offer a taste of Italy’s complementary city and country lifestyles. One choice we would recommend would be touring Rome, the nation’s capital and then taking a trip to enjoy the hill country of Tuscany. Rome is a vibrant and modern city that has retained centuries of history for tourism and study. Avventure Bellissime’s full day (9 hour) Super Saver Grand Tour of Rome is ideal for travelers who want to see the main highlights in a small group: Ancient Rome’s Colosseum, Palatine Hill & Constantine's Arch; the Vatican and Sistine Chapel; plus the Trevi Fountain, Spanish Steps, Pantheon, and soaking in the spectacular view of Rome from Gianicolo Hill. The next day you can leave the bustle and busy energy of Rome behind as you enjoy one of our Tuscany Tours such as our always popular Small Group Tuscany Day Tour from Rome. One of our expert driver-guides will pick you up from your centrally located hotel in Rome and take you for a wonderful day trip into the Tuscan wine region. Rolling hills, verdant landscapes, and the hill towns of Montepulciano, Montalcino and Pienza await discovery. 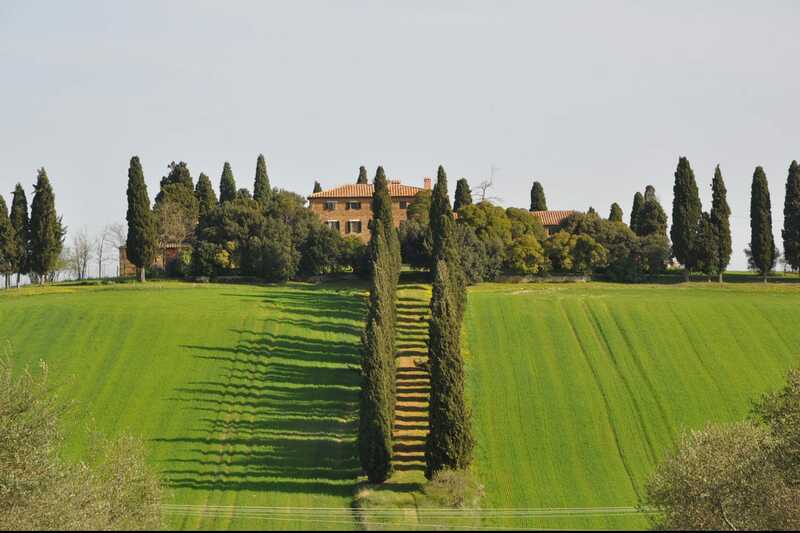 If you enjoy Italian wine, Avventure Bellissime offers many more opportunities to explore the wine regions of Italy. Italy’s regions are diverse but each has its own unique beauty. There are many different possible combinations but perhaps one striking study in contrasts would be to voyage from the shores of the ocean to the mountaintops in southern and northern regions. 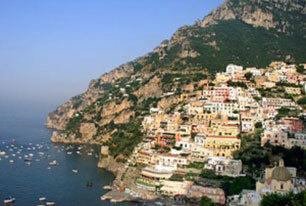 A trip to the beautiful Amalfi Coast is a sojourn in a Mediterranean paradise. When you book one of our exclusive Small Group Rome Day Tours to Pompeii & the Amalfi Coast you will wind your way along this striking coastline, enjoying the view of the endless blue ocean. Highlights include a two-hour tour through the ruins of ill-fated Pompeii and relaxed stops to explore the charming towns of Amalfi and Positano. Extend your holiday with a trip to northern Italy. Not far from Venice is more beautiful Italian landscape to explore: The Spectacular Dolomite Mountains. Our Small group day trip excursion to the Dolomite Mountains and Cortina is a fantastic trip 7,500 feet up into the mountains. Your day includes a stop to visit the alpine resort Cortina, with its fashionable shops and boutiques, and to the famous Tre Cime di Lavaredo (three peaks of Lavaredo) for a magnificent view. Inspired to visit the wonderful variety of destinations in Italy? Contact us at Avventure Bellissime for details about our Italy vacation packages and Italy tours.